People across New England are bracing for another March storm. 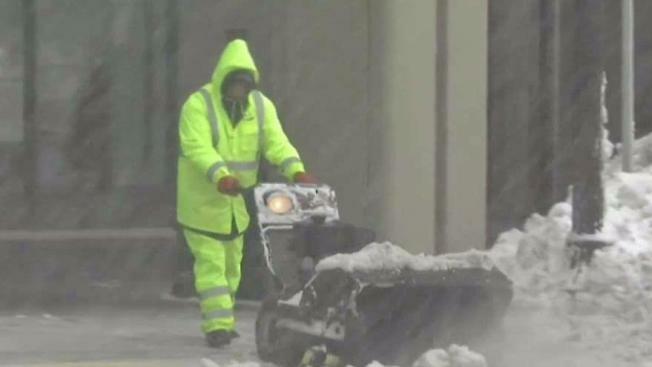 With another snowstorm looming, public officials in Massachusetts are preparing for another round of snow and possible flooding, while school systems work to manage a depleting number of available make-up days. Up to 10 inches of snow could fall in parts of New England, including Boston. Coastal flood watches have been issued, with wind gusts over 50 mph expected in some areas. Three other nor'easters in the month of March have broken the seawall in Duxbury, compromising the foundations of coastal homes. Residents are hoping another won't cause heavy damage to the area. Boston Mayor Marty Walsh announced Monday evening that all after-school activities would be cancelled Tuesday. New England is getting ready for yet another March nor'easter. "Today may be the first day of spring, but the city is still prepared to keep our streets, residents, and students safe during this snowstorm," Walsh said. "I ask residents to once again help us by checking on their neighbors, clearing the sidewalks and pedestrian ramps around their property, and staying off the roads." Some school systems concerned about running out of time to make up snow days before July 1 have gotten creative. 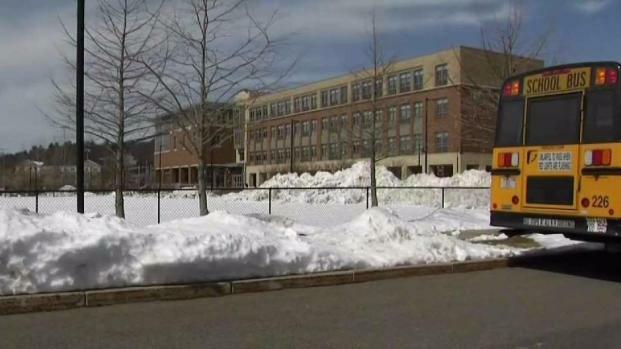 "About two years ago, the state came out with this option called 'Alternative Structured Day Program,' which would allow us to do what people know as 'Blizzard Bags,'" Melrose Public Schools Superintendent Cyndy Taymore said. The blizzard bags aren't really bags at all. They're mostly online or worksheet assignments that aim to give students high-quality, structured learning opportunities that are completed at home on a snow day. "Our staff are available during the day to answer questions, to provide help," said Taymore. Several districts are now testing out blizzard bags as part of a pilot program - but there are guidelines. "One of the conditions being we can't do it two days in a row," Taymore said. The districts are constantly reviewing feedback about the program from parents, students and staff to improve it. "Assignments are supposed to be written in a way that they're not busywork, that they are directly connected to what is happening in the classroom," Taymore said. Burlington was the first district to pilot the program in the very snowy 2014-2015 school year, and parents' reaction was mixed. "I thought it was a lot of work for the amount of days that it covered," parent Dina Accardi said. "I think that it's a better idea than making up school days," parent Sabrina Marin said. "They're not doing anything at home, so they might as well be doing some school work." The state requires 900 hours for elementary school students and 990 hours for secondary school students over 180 days.